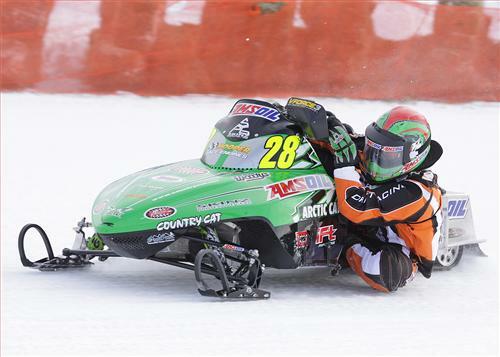 32 Wins in one weekend...nice job Team Arctic racers and crew! 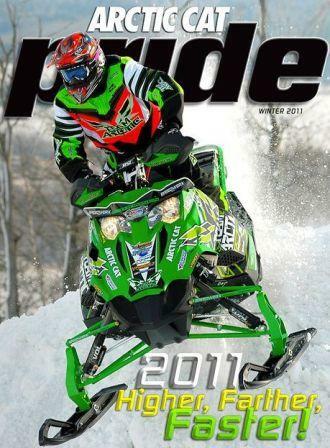 Click to read the Arctic Cat press release. 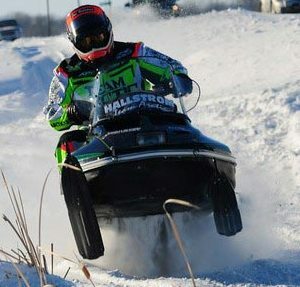 Pat Mach – husband, father, snowmobiler and President of the USCC cross-country race circuit – died yesterday as the result of a snowmobile accident. I received the news this morning. 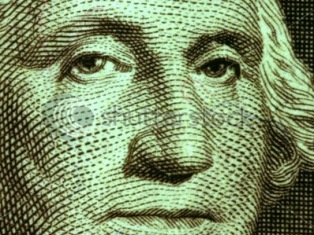 What I’ve written above, is all I know at this point. And before I can begin to fathom what this means on a widespread level, all I can do right now is pray for his wife Lisa and his son Adam. 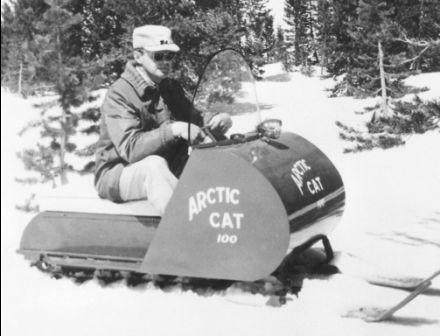 Here's an excellent Public Television documentary about the origins of snowmobiling, with an emphasis on Minnesota, Arctic Cat, Polaris and Ski-Doo. Click Here to watch Part 1 (roughly 27 minutes). Click Here to watch Part 2 (26 minutes). 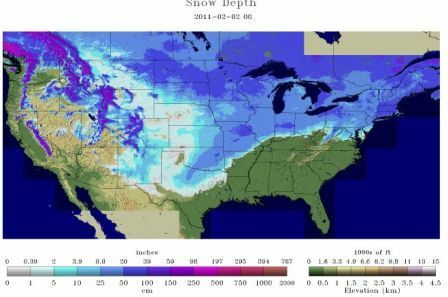 That's one heckuva storm that hit 2,000 miles of North America. Check out what I recently uncovered. Click to see a couple more pix. The Christian Bros. 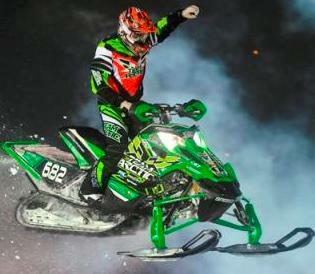 Racing team had a solid performance at X Games, with Cory Davis nailing a bronze medal in Speed & Style. 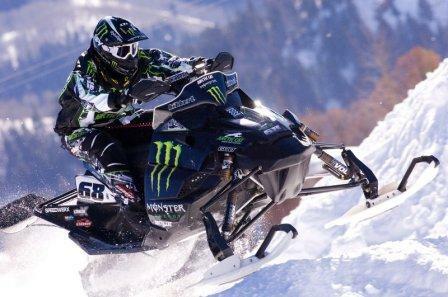 That's FIVE Gold Medals in a row (and six total) in 12 years of X Games racing for Tucker Hibbert! What's the likelihood he'll win six more gold medals? 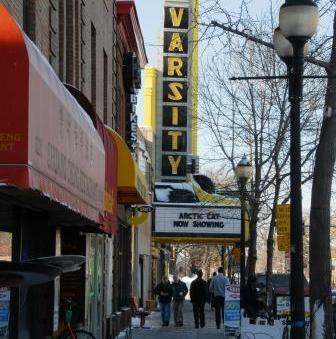 Spy Photo of the 2012 Arctic Cats? 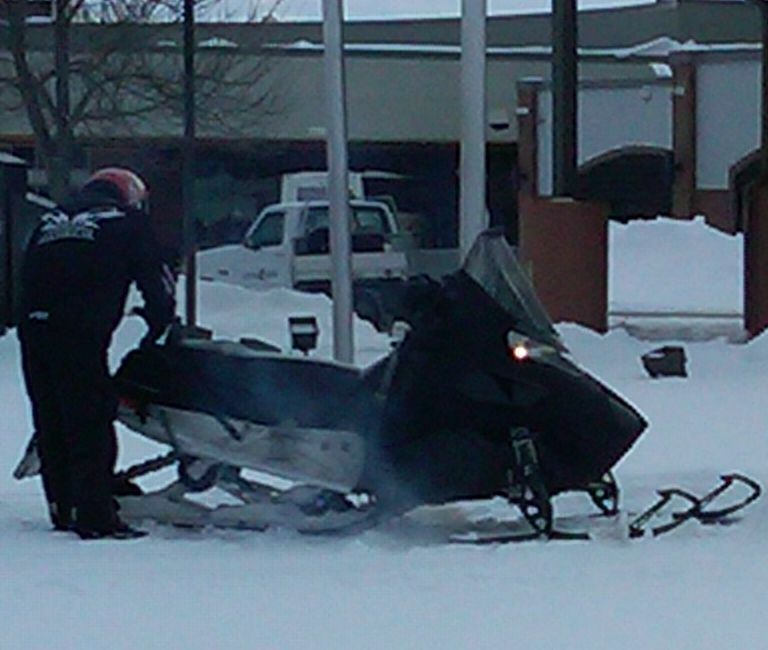 Well, this site and others have been buzzing about the captured image here, of what appears to be a prototype sled. Click to see it, and read a few thoughts. The first-ever Vintage I-500 project is complete, culminating in the actual race last weekend. Click to see some pix of our weekend. Drunk Caddie Riding a Snowmobile? 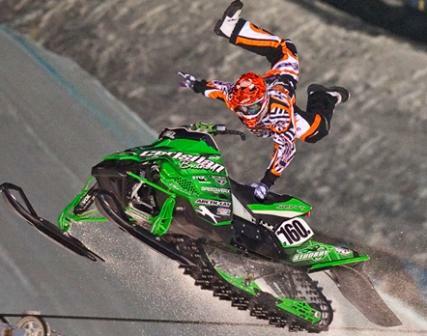 I'm not sure what THIS STORY says about Tyler Bryan, or about (some) snowmobilers. Personally, I'm picturing him leaning off the side of the cab, pretending he's railing through a long, sweeping left-hander.